This month, it’s out with the old, and in with the new, which in Indiana-based stylist Kandas Denton-Owen’s case means elevating a standstill career in some pretty unimaginable and exciting ways. “I didn’t know just how big I could get,” admits Kandas before settling in to tell me about her career trajectory. It wasn’t surprising when Kandas, who grew up around stylists, went straight to beauty school after graduating from high school at seventeen. After working for a mentor for four years, Kandas was ready to venture out as an independent stylist. In her capacity as a booth renter, Kandas quickly grew disenchanted; she felt disappointed by the lack of control she had while renting space from somebody else. Still, Kandas knew full salon ownership wasn’t for her either. “I’ve never wanted to deal with that big undertaking that comes with salon ownership because I always want to be able to give my clients my full attention,” Kandas explains. 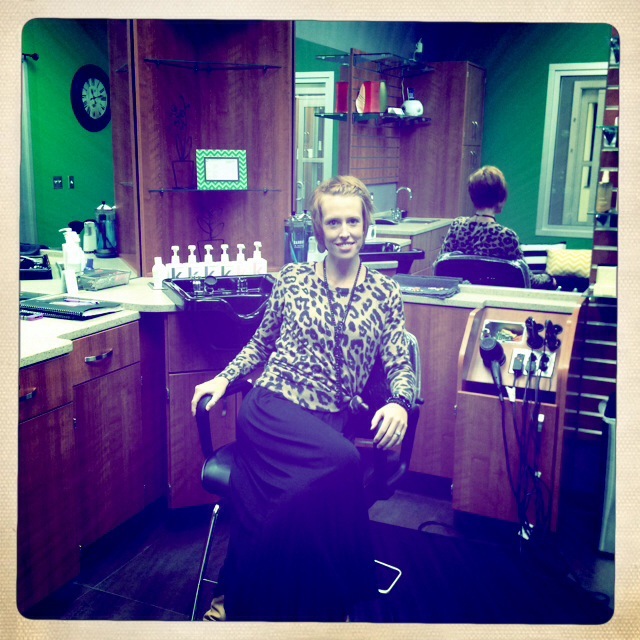 You see, as an independent stylist, Kandas saw firsthand the types of business obligations salon owners deal with. “I had opinions about how I would do things differently,” Kandas recalls, “but at the end of the day it always seemed like I would be distracted from my real job – which is being with clients.” As a booth renter, all Kandas had to worry about was herself, which was good. But, then again, she lacked control over every single element of her day, from what music was played and what product was sold to the physical appearance of her space. What’s more, when it came to booth renting at traditional salons, for Kandas it felt like she and her fellow renters were constantly picking up the slack. “If a salon is hurting, they’ll raise booth rent prices,” she explains. Ultimately, Kandas saw few advantages and benefits to continue renting. She’d already hit a ceiling in her career – and her career was just starting. That’s right about the time when, in a serendipitous turn of events, a co-worker told Kandas about “this new concept coming to Evansville.” Kandas was one of the first stylists to jump on board with Sola Evansville, which opened October 2013. Not so! Sola offers stylists a middle ground, an opportunity to advance without the risk or the headache. “I thought booth renting was it for me,” says Kandas, excited because her career has been jump-started. “But now, I’m realizing there’s something more.” This year, resolve to take the next step in your career – consider the opportunities that Sola has to offer budding stylists and entrepreneurial-hopefuls.